Download Club Factory Online Shopping App and get the best deals & offers! 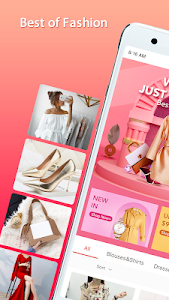 Online shopping app with big discounts & deals for fashion, clothing, home decor & accessories at Club Factory! 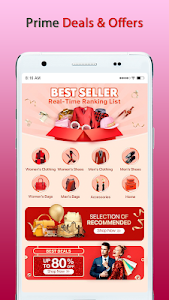 Club Factory is one of the best shopping apps online in India, With over 1,000, 000 products from multiple categories, you can shop whatever you want with low price & high quality with your android devices or tablets at home. Free shipping & Cash on delivery services are supported, giving you secure & delightful shopping experience and make sure you purchase all goods at its factory price!
? Fashion & Chic: Shopping online for trendy styles and latest items.Become fashion icon and dress chic just as celebrities and fashion bloggers.
? 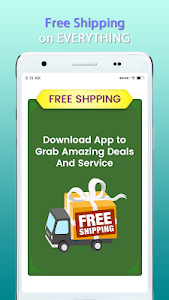 Low Price: Coupons, benefits, discounts, flash sale, free gifts & great deals for new users. Cost less and save more! 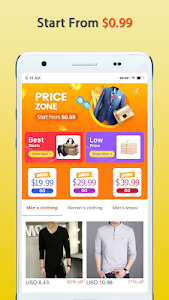 Better and cheaper products than malls at free online shopping app Club Factory!
? High Quality: EVERY product has gone through 21-point QC standards.
? 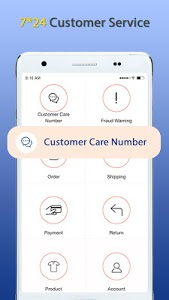 Secure payment & Fast delivery: Cash on Delivery (COD) for most areas, Mastercard, VISA and many more payment methods are supported. Enjoy free shipping at the same time! Shopping online and track your order anytime! If you have any worry, our friendly 24/7 Online Customer Service team is always here for you. 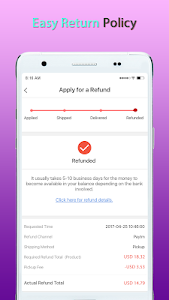 If the product has quality problems, it can be returned for free within 9 days of delivery. 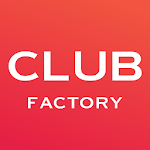 Club Factory offers millions of all kinds of affordable & stylish products ranging from clothing, shoes, bags, accessories, jewelry, home decoration, electronics, watches, beauty, health, books, products for office, sports & fitness. You can get Club Factory coupon and special discount up to 80% off during sales on fashion clothing for women, men and kids. Please kindly contact us if you have any question or advice, we highly value your feedback and we will take time and effort to offer you a better shopping experience at Club Factory. Share Club Factory with your friends and family on Facebook, Instagram, Twitter & Youtube to have more fun! 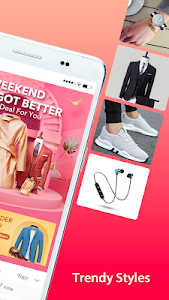 Similar to "Club Factory - Online Shopping App"